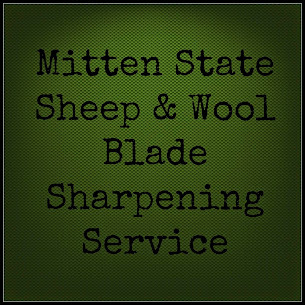 Mitten State Sheep & Wool : On the Bookshelf: " Farm to Fork"
I love Thrift Stores and good deals. On my last visit at our local Thrift Shop, a cookbook caught my eye, "Farm to Fork". Price tag, 99 cents. In the cart it goes. I enjoy home cooking, I also enjoy simple recipes, never have been a fan of fancy, hard to find ingredients. After browsing through this cookbook, I am glad that I took a chance and picked it up. It is just my kind of cookbook, I think I may have found a new "favorite". I can't wait to try out all of the yummy recipes that fill every chapter. Herbed Goat Cheese Buttons, Fresh Ricotta, Spiced Zucchini Bread, Sausage Stuffed Bell Peppers, Watermelon Limeade, Pear Tartlets, Roasted Brussels Sprouts, and the list goes on. As I looked through the recipes, I made a mental list of the seeds, and plants, I will need to buy for my garden. I think it is going to be a great resource and much needed motivation for the 2014 growing season. A definite add to my bookshelf! Looks like Emeril has a lot of great recipes in this book! Happy cooking! Sandra, I watch Emeril Lagasse on Hulu on my laptop...if you have this cookbook of his you may really enjoy the episodes on hulu. Its called Emeril's Table. He has a REAL approach to good food and using fresh and available things. The other cook who does that is Ina Garden...The Barefoot Contessa. She has a stunning herb garden and uses it all the time. My husband and I are getting our herb act together, Annie's Heirloom seeds has an excellent assortment of herbs both culinary and medicinal. Fiona, Thanks so much for letting me know that. I had never heard of him before, the book just caught my eye.